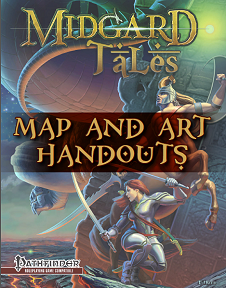 If you are using Midgard Tales, you'll want this! "Now these adventure are even better! This 68-page collection of handouts, maps, and art suitable for sharing with players is provided without background textures, for easy printing."